This villa is an hidden gem on its secluded location at a very quiet side road from the main road Kaya Gobernador N. Debrot. 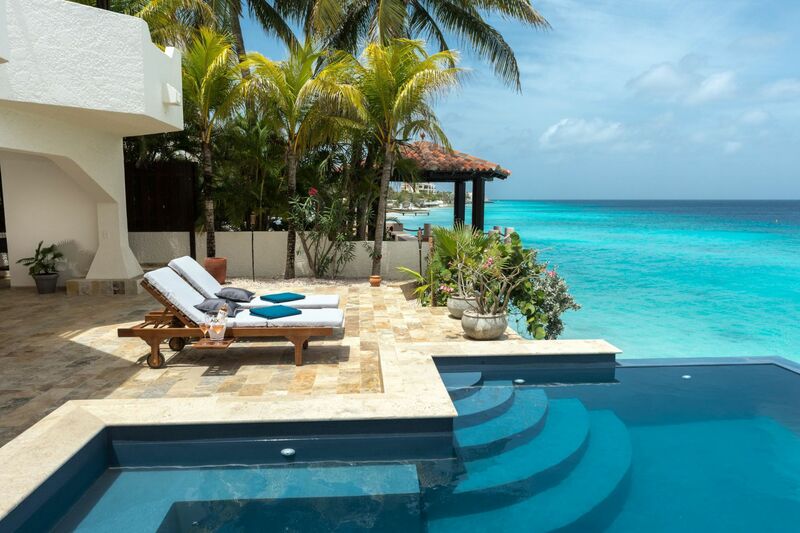 The lot provide a spacious area and the villa is built directly seaside with a private sandy/coral pebble beach right at your doorstep. 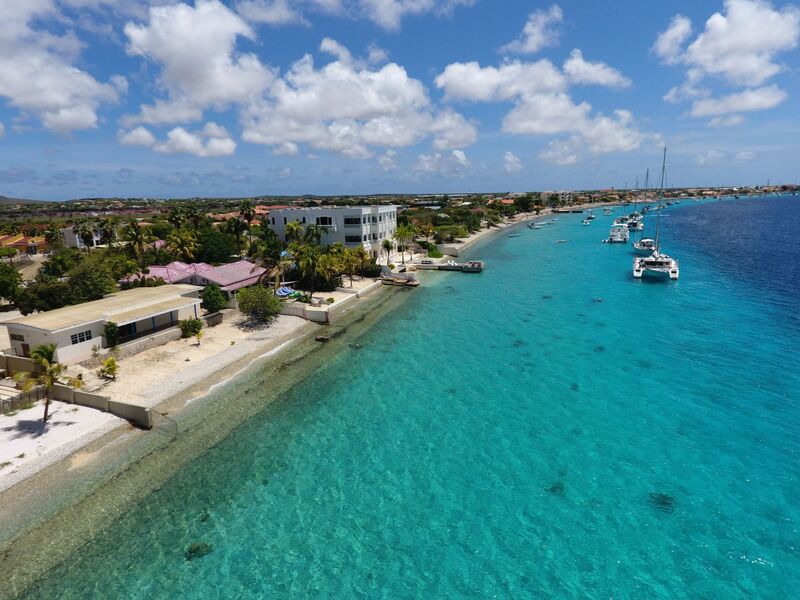 Fabulous views over the Caribbean Sea and the bay of Kralendijk with Klein Bonaire across the bay. The wide covered terrace offers the perfect spot to fully enjoy seaside. The sound of the waves works like magic. 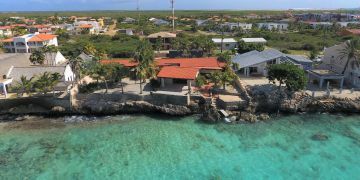 Spatial Zoning plan; 'Mixed I' - in the Spatial Zoning Plan Bonaire, destined for shops, hotels, restaurants, recreational houses, rectreational apartments, houses, or buildings for sports or communal services. Covered entrance into living room with sliding doors to wide covered beach/seaside terrace. Open concept kitchen with pantry (door with access to covered entrance). Hall with access to two bedrooms (both with built-in closets) and two ensuite bathrooms. Spacious and wide private sandy/pebble beach at your doorstep. Registered at the Land Registry Office Kadaster, number 4-D-1752 & 1751. Long lease May 28th, 2022.